GREENBELT, Md. (NASA PR) — Three hundred and ten miles above our planet’s surface, near-Earth space is abuzz with action. 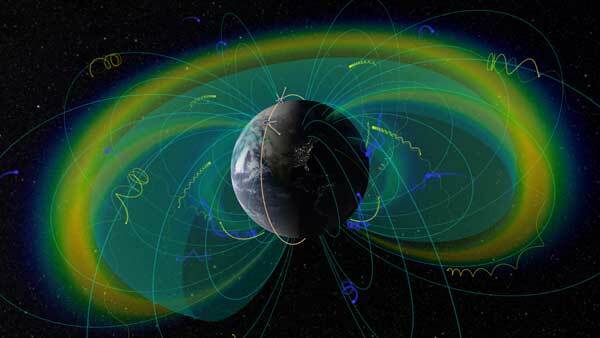 Here begin the Van Allen Belts, a pair of concentric rings of fast-moving particles and intense radiation that extends more than 30,000 miles farther into space. Five years ago, a group of UCLA undergrads came together with a common goal — to build a small satellite and launch it into space. In the years since, more than 250 students — many of whom are now UCLA graduate students and alumni — have been the mechanical engineers, software developers, thermal and power testers, electronics technicians, mission planners and fabricators of the twin Electron Losses and Fields Investigation CubeSats, known as ELFIN.